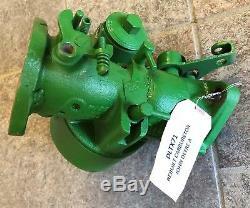 Rebuilt Marvel Schebler DLTX71 carburetor for John Deere A tractors. Completely disassembled, cleaned, passages drilled and cleaned out, reassembled with new parts as needed. Tested on a tractor in the shop - runs good! 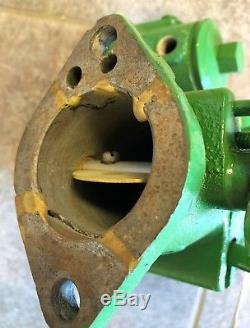 Does have the mounting flange repaired as shown in the photos, but does not affect the operation of the carburetor. 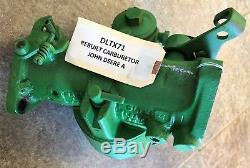 The item "REBUILT CARBURETOR DLTX71 JOHN DEERE A TRACTORS AA3950R" is in sale since Monday, September 17, 2018. This item is in the category "Business & Industrial\Heavy Equipment, Parts & Attachments\Heavy Equipment Parts & Accessories\Antique & Vintage Equipment Parts". 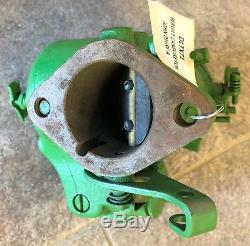 The seller is "michigantractorparts" and is located in Owosso, Michigan. This item can be shipped worldwide.